No matter what your depth or range of experience, the practical, user-friendly MICROSOFT WINDOWS 10: INTERMEDIATE can equip you with the skills and knowledge you need to effectively navigate and utilize basic and more sophisticated features of Microsoft© Windows 10. 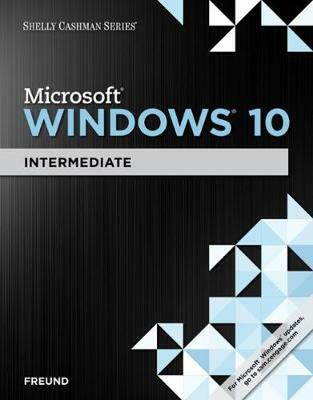 Part of the acclaimed Shelly Cashman Series©, this useful book offers a trademark step-by-step, screen-by-screen approach that encourages you to expand your understanding of the Microsoft© Windows 10 operating system through experimentation, exploration, and learning by doing. You'll find hands-on features and accompanying online resources specifically designed to equip you with more advanced skills that help you maximize the advantages of MS Windows 10.